What does it require of a Blogger to Make BIG Money? We’ve seen a lot of posts on pro blogging and making money online separately. But today we thought of writing a post which involves both these highly niche topics. One of our guest bloggers – Jane had written a post on the Do’s and Don’ts to make more money from blogging. That post enlightens you about the ways to make more money from your blog without annoying your viewers. In this post we will not be talking about the ways to earn money from your blog. Rather, lets focus on the things a pro blogger needs to do to monetize his blog better. Before we start it’s important to understand what pro blogging is actually. If we go by well curated definition or terminologies then we would end up reading this – Pro Blogging is the process of building a big blog (obviously, monetizes a lot) with a professional design and hosted on a popular platform like WordPress. 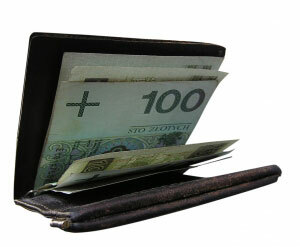 Do you want this Wallet? Nothing against that definition, but to me pro blogging is not actually earning big bucks. It’s about writing on topics which is close to you as well as your blog readers, planning things before-hand, keeping a real-time check (analytically). Some would say; if a blogger does all the above things efficiently then the money IS going to flow in. That is true but to an extent. Unless you make specific efforts towards making money online (in this case from your blog), the moolah’s aren’t going to flow-in as smoothly as you’d like them to. Name any field, course, work which does not require this 6 letter word called Intent. Can you? That itself proves that this Intent is the most important requirement. Without that you may earn enough to satisfy your daily needs, but you wouldn’t be justifying the effort put in totally. Ultimately if you don’t have the intent to make BIG money from your blog then you simply can’t. This point would shock many. But the fact of the matter is that as a blogger you got to be honest with your readers/visitors. If you try and hide affiliate links by posting something fake then you might end up losing a regular visitor, which a blogger can’t afford. At least a pro blogger can’t. So if you are promoting a less-popular business website hosting, then let your readers know why are you doing so. If they find your review worthy and the service promising then they would’ve go and purchase it. These days, we see bloggers around the globe putting up a widget on their blog sidebars with the title ‘Stuff that I use Daily’. And not surprisingly that widget would consist of at least 10 links. Common, it doesn’t take an Einstein-like thinking to understand that those aren’t the links meant to be daily visited. On the other hand you could say that it’s just another ‘nice’ way of promoting products through blogs. But you got to understand that no nice way involves a lie. Act – Implementing the right choice of ads. Don’t go by what you see on other popular blogs. Your blog is unique and the same popular choice of ad sizes may not work on yours. Secondly, decide where you want to place them. Make sure that your ad placement does not dither your blog readers from the USP of your (perhaps any) blog i.e. The content. Analyze – Analysis is necessary in life as well as blogging for moving forward. Google Analytics is by far the most trusted and accurate tool for keeping a track of the bounce rate, real-time visitors, amount of time spent by those visitors, etc. When it comes to ad analysis, you got to look out for In-Page Analytics. That tool gives you a fair idea about the visitor clicks. More importantly it shows the live preview with the percentage of clicks. React – Action invokes reaction, isn’t it? In our case Analysis should invoke reaction. The order of Action – Analysis – Reaction should not be broken. React only if you find fault after thorough analysis. Here the concept of A/B testing comes into play. But never be afraid of experimenting with ad placements. Try things until you find success. If you feel that the placement is right but isn’t converting then stop experimenting and start focusing on preparing better content. The ideal money earned/visitors should be 5$/1000 unique visits on a semi-niche blog. When it comes to affiliate promotions, try experimenting with different anchor texts. Most affiliate networks, specially popular site hosting like HostGator, Bluehost provide a detailed tracking report. Study that report to know from which blog post the visitor went on to buy a hosting plan. Hope you liked the article, tell us more such important requirements in the comments section. As a blogger, I feel building good content in the long term is the most important but difficult task for all blogger. Nice post buddy! For a long time, I have not come back to your blog! Intent to earn is very important. I have worked with people who didn’t really need the money too badly and it showed in their working patterns. Motivation was really lacking most of the time and I had to prod him to get work done. No doubt in that every one wants to earn money by their work. Now adays blogger have many option to make money via blog post but there is also some conditions has now updated like google panda which is i think good to stop duplicate content. Many are trying to earn quick money in blogging, but most give up after a few months. To make money blogging requires patience to build trust and to have knowledge of what you blog about.